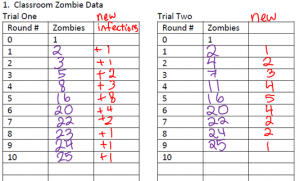 I saw Julie Reulbach use Zombies to explore exponential growth and lead into logarithms. I really liked Julie’s use of the situation to prompt the need for logarithms. 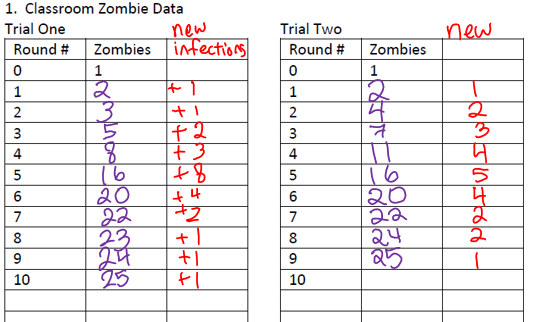 My introduction was similar to Julie’s introduction: Zombies are attacking the class. But I decided to act it out a little bit to come to terms with the “reality” (hah) of a zombie attack. 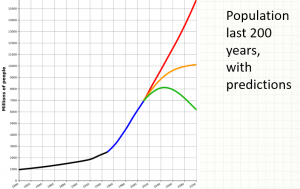 Namely, exponential growth might overestimate the infection rate since when there are already a lot of zombies, its hard to find normal healthy humans to devour their brains. 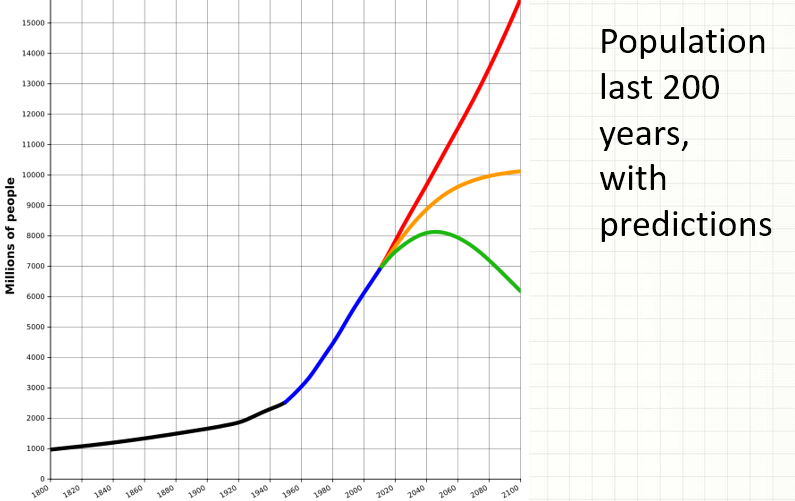 Finally, I wrapped up the discussion by pulling up some population graphs for human civilization. Noted that we don’t know where the supply caps are, or which caps might be solved in the future (such as how the development of agriculture allowed new growth, or more recently, how antibiotics allowed new growth). I felt this was a nice attempt to connect my math classroom to other subjects such as history (ka-ching, that rare humanities connection) and biology.